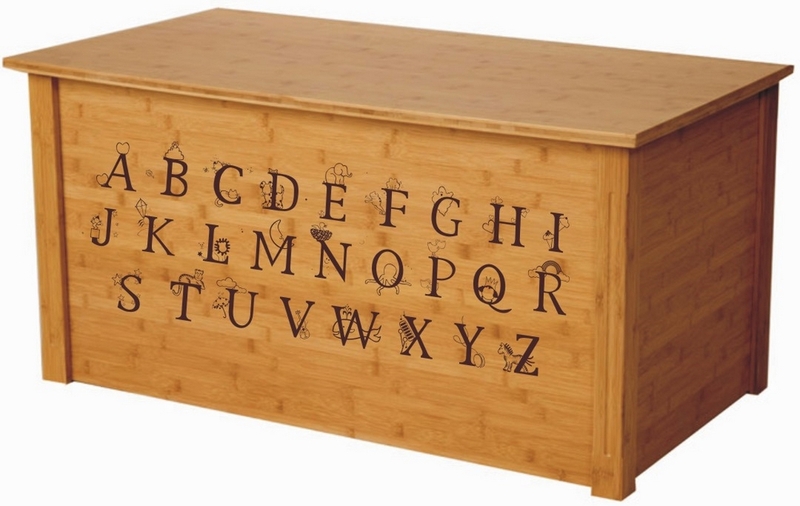 This beautiful bamboo toy box features laser engraved full thematic alphabet that will help kids learn ABC and have fun while learning. It is unique, stylish and great for our environment. 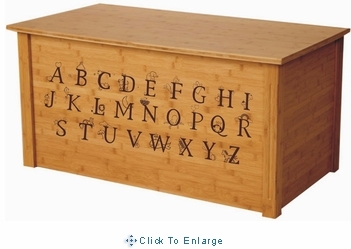 This eco-friendly product is made of 100% bamboo panels (full 3/4 inch thick). 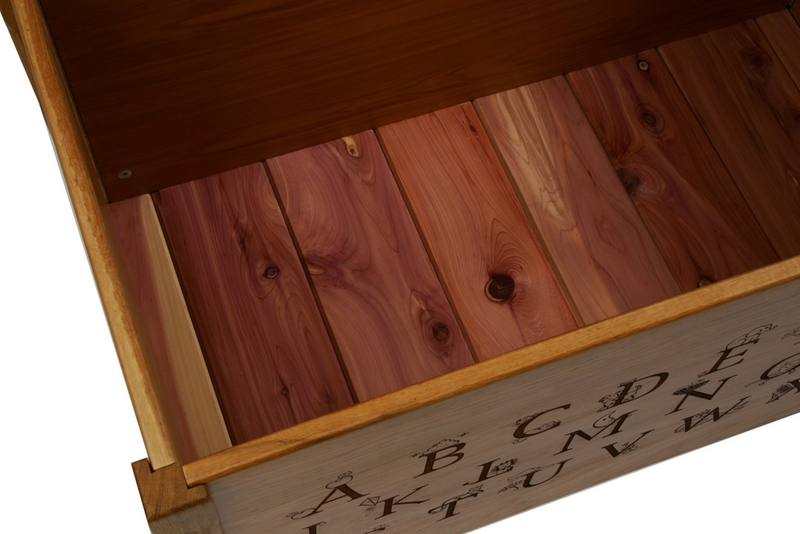 This high quality toy chest is incredibly durable and is 16% harder than maple wood. 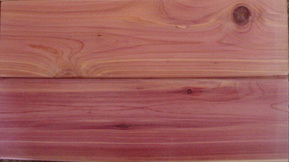 Bamboo is a wonderful renewable natural resource and ideal for beautiful decor. 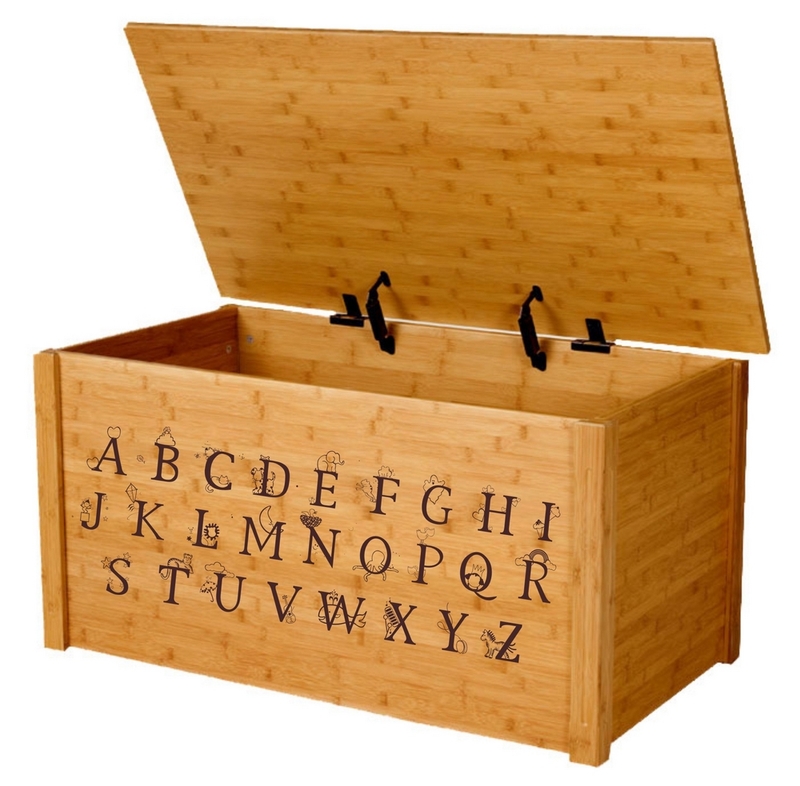 This Bamboo Toybox/Blanket Toy ches twith Full Alphabet is a perfect storage choice for any home, while at the same time helping protect our environment. Shipping: This item will ship from Bismarck, ND within 2 weeks via FedEx.